I like Cee’s answer “all three”, but I am going to say “cleaning” and “yard work”. I, actually, like cleaning and doing yard work. Cleaning – I need help getting rid of things. For me, every object has its history and memory; every object is precious. You see my problem? ;-( Yardwork – it has become obvious to me that I don’t know how to grow flowers, so I would hire someone to do that. What children said could be very funny. I still remember the time that my 5 year old daughter asked why our house only had a two-car garage. “Where do I park mine when I get a car?” she wanted to know. Hardboiled egg cooked in soy sauce (滷蛋). My dad told me every time my mom severed that dish, I would jump ups and downs, clapping my hands. Chrysanthemum – I had never thought a lot about this flower before I was in high school. Then one day, one of my high school friends told me I reminded her of chrysanthemum, and suddenly it became my favorite. Funny how we like or dislike things. Tulip – it’s the first flower I see after winter. Epiphyllum oxypetalum (曇花) – For me, this is one of the prettiest flowers. 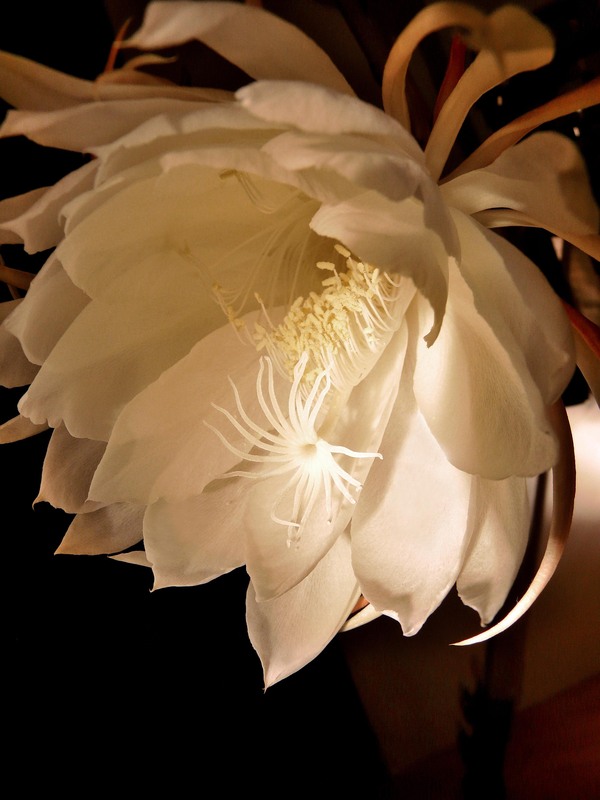 It is called “queen of the night” because it blooms at night. I still remember the night my dad told us to stay up because the flower was going to open. I was so tired; the waiting was quite difficult for me. But when I saw the flower, I was glad that I didn’t go to bed early. Zucchini – The first few times I had planted zucchini, I thought it was a miracle plant because it had yielded so many zucchinis. Later, I did have a couple of years that I didn’t get many, but the first impression stayed. Chinese Chive (韭菜) – Chinese chive is easy to grow and doesn’t require a lot of works ;-)… good for making dumplings too. Last week was tough. I lost my best friend Jeanne, whom I had grown up with. We did a lot of things together back then. We even took bath together from time to time because we wanted to talk to each other; she was in her bathroom and I in mine; two bathrooms were separated by a thin wooden wall. I am sad, but grateful that I had had her for many years. 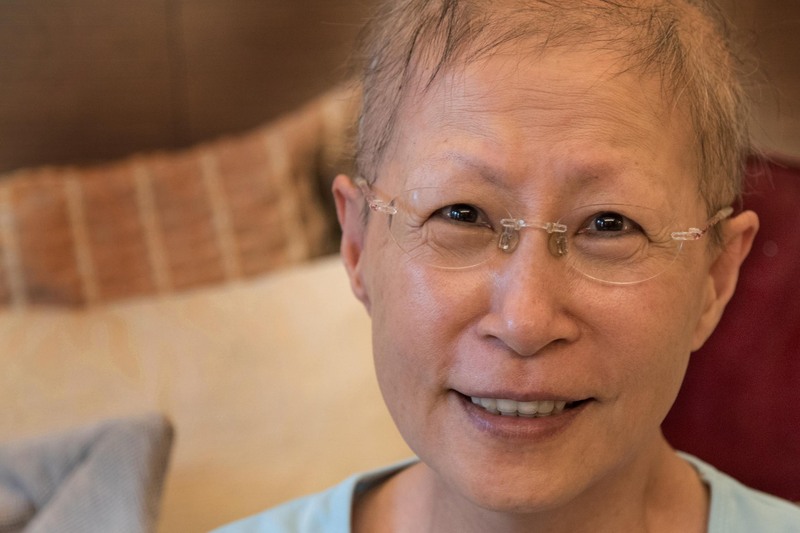 This week, I would like to do something in memory of Jeanne. And I have a plan. This entry was posted in Share Your World and tagged Cee's Share Your World. Bookmark the permalink. Good morning, Cee. It was a nice break from remembering the past. I felt much better. Thank you for having these challenges! Sorry to hear about your friend and I hope your plan to honor her memory will create one more good memory. Helen, I am sorry for the loss of your friend, Jeanne. 2016 has not started out too well for you, so I hope things do get better. Thank you,Lois. I had Internet problem for a couple of days. Urgh… I feel much better today — thanks to you. Having a challenge to work on helps. Thanks, Mabel. Jeanne was a great friend. I have never heard any complains from her. She always helped others. One time I told her someone we know wasn’t doing well financially. Right away, she asked if there was anything she could do. Oh Helen- again I am so sorry. Losing two loved ones in a short time is very hard! At our age, death visits more often and it is hard to deal with grief after grief. Aging isn’t for the weak, that is for sure! Again- hugs and prayers to you! Thank you for sharing- it helps ease the burden when you have friends to help. Thanks, Sue. I was telling a friend that I thought I had prepared for aging. I knew I might have knee problem, back ache… etc., but I didn’t realize I would lose loved ones, one by one, like this. I will treasure every day, every friend a lot more from now on. Thanks, Joey. I wish I recorded all of those moments 😉 It would be a fun video. Helen–would you be interested in participating in the 7-day nature challenge? I wanted to check with you first. Thank you! Good afternoon, Lois. Yes, I would. Perfect timing… I was, actually, thinking of doing some photo challenge to get myself back on the track 😉 Thank you! Yay! I will nominate you in my post for tomorrow. Thanks so much, Helen. I am so excited to see your photos.